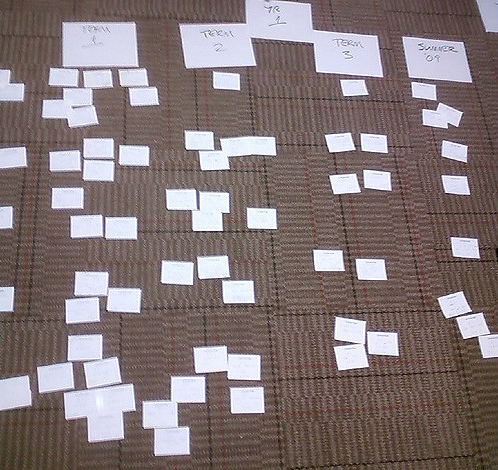 Take the time to think about your organizational system before you begin researching and compiling sources in earnest. “Organizing now will save much time and heartache later.” (Machi & McEvoy, 2012, p. 31). Consult Wikipedia’s detailed and updated comparison chart of citation management tools to determine if any tool is clearly the best fit for you. Likewise, a systematic and standardized bibliographic citation format helps the writer of the literature review keep track of references as they accumulate and find them more efficiently later in the process. “You will be rewarded for your hard work, if not in heaven, then certainly when you come to write your report. You will be able to locate information easily, to regroup and reclassify evidence and to produce referenced quotations to support your arguments.” (Bell, 2005, p. 74). 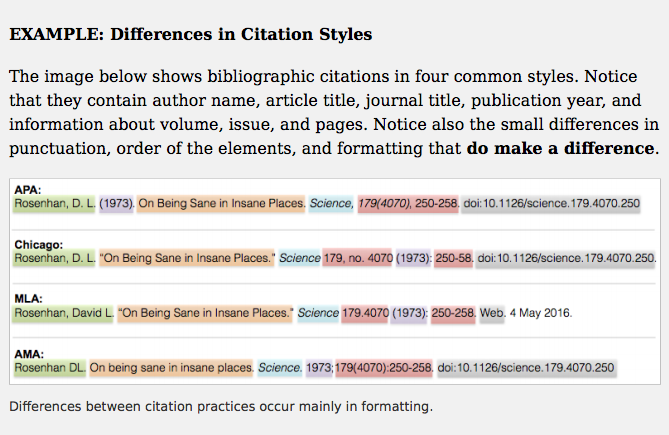 As there are over a dozen different citation styles and different disciplines prefer different styles, always check to see if your instructor requires a particular style. Also because the rules for citation styles can change and can be extensive, it is best to refer to the official handbooks/style guides when you can. (Teaching & Learning, 2015, p. 6). In addition to print and online manuals detailing the specifics of each citation style, there are numerous websites and other resources that provide document citation formatting help. The Online Writing Lab (OWL) at Purdue University, for example, can answer most questions about APA, MLA, and Chicago style. University writing labs and subject specialist librarians may also help with correctly documenting sources and formatting style. A useful open resource for graduate students in the social sciences is Professional Writing in the Health Disciplines by Sandra Collins (2016). In addition to discussing how to structure a graduate-level paper, a chapter on APA citation and reference formatting provides extensive detail on how to document sources. Additionally, Choosing & Using Sources: A Guide to Academic Research (Teaching & Learning, 2015) provides examples and advice for documenting sources using APA style formatting. Using the JournalTOCs website (www.journaltocs.hw.ac.uk), create an account, locate a journal in your topic area, and set up an email alert. QUESTION 3 – In APA style documentation, what is the correct in-text, parenthetical format for a direct quotation? For more practice deciphering APA citations, see the self-test exercises in Choosing & Using Sources.